Today, the Farm Service Agency (FSA) notified the National Young Farmers’ Coalition of changes in their loan handbook that will make it easier for the nation’s young farmers to qualify for farm loans. This is a major win for the coalition, as we’ve been advocating for more leniency in farm loan rules to accomodate the range of new training opportunities for today’s young farmers. According to NYFC’s 2011 survey, Access to capital is the number one challenge facing beginning farmers. The new handbook language gives new flexibility to loan officers when deciding if a farmer has sufficient managerial ability to repay a loan, and adds specificity about the types of educational and on-the-job experiences that qualify. Managerial ability is a determining factor in operating loan applications. The handbook also adds a new example under the farm experience requirement for farm ownership loans, that may help young farmers who were previously denied financing. The handbook now specifies examples of university and non-accredited programs that qualify as farm education. The Small Farm Program, University of Arkansas-Pine Bluff. Specialty Crops Program, University of Colorado. University Small Farms and Rural Roots. Alcorn State University Small Farm Outreach Training and Technical Assistance Program. (2) On-the-job training. For example, the applicant is currently working on a farm as part of an apprenticeship program. Example: A hired hand or farm labor team leader who makes independent day-to-day farm management decisions. Mary Queen of Vietnam Community Development Corporation, Inc., and the Viet Village Aquaponic Park Project. obtained and successfully repaid one FSA Youth-OL. 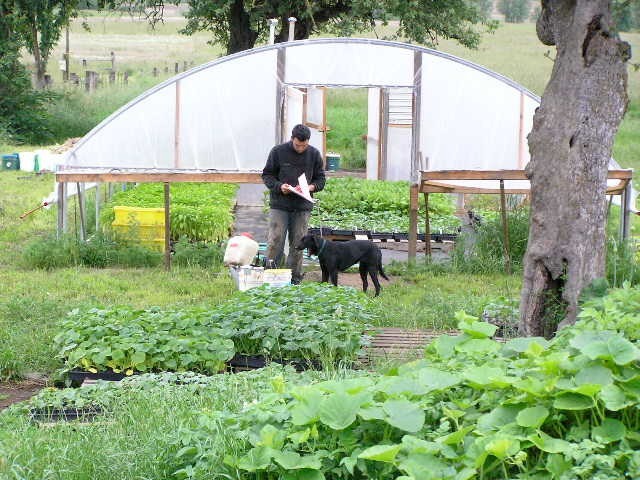 Unlike operating loans, farm ownership loans require that the applicant has managed a farm for 3 years. In the past, this requirement has been interpreted very narrowly and only farmers who had filed a Schedule-F could qualify. Although the rules were made more flexible before the recent change, the new handbook language is very clear that farm workers can meet the experience requirement for a farm ownership loan. The real test of the new rules will be their application at local FSA offices, but we are very encouraged by FSA’s changes. NYFC is still advocating for new small loans and a reduced farm experience requirement (from 3 years to 2 years), as included in the Beginning Farmer and Rancher Opportunity Act of 2011. If you have experiences with FSA that you’d like to share, please consider signing up for NYFC’s new speaker’s bureau.